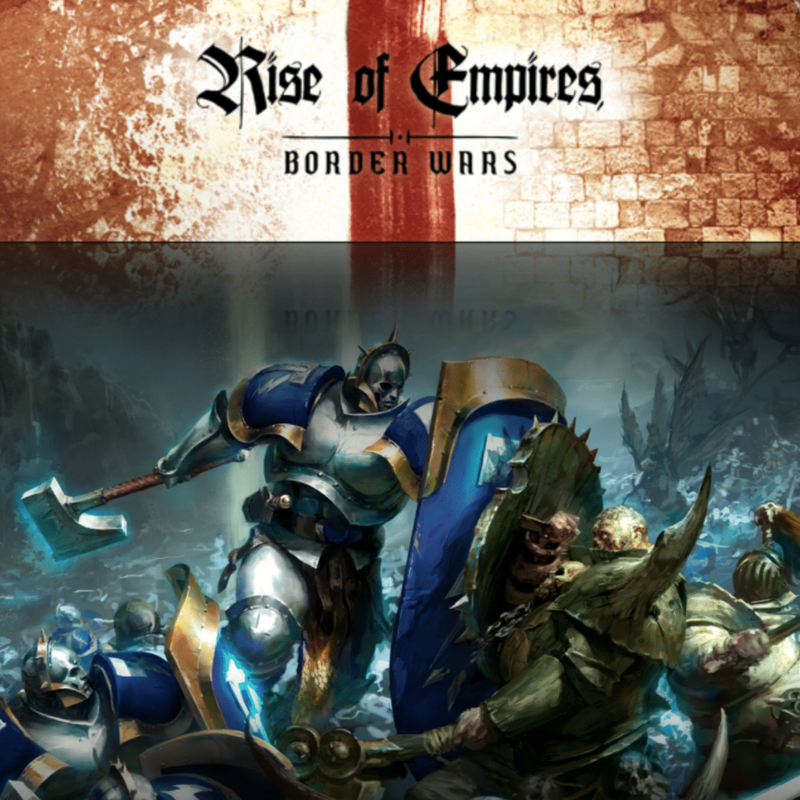 Today I have a special guest article from Sean over at Hobby Hammer, talking about his upcoming Rise of Empires narrative event over in the U.K.
Good Day all. Firstly, so many thanks to Tyler for featuring this post. I wanted to go over a few of the features we have created for the narrative event happening in Ramsgate, UK the 16th - 18th of Feburary. So what is Rise of Empires? Rise of Empires is a 2 day Narrative Map Campaign weekend, where players can turn up with their armies, battle over a custom map of a city called Colarcanium, trying to vie to become the number one and control the city. 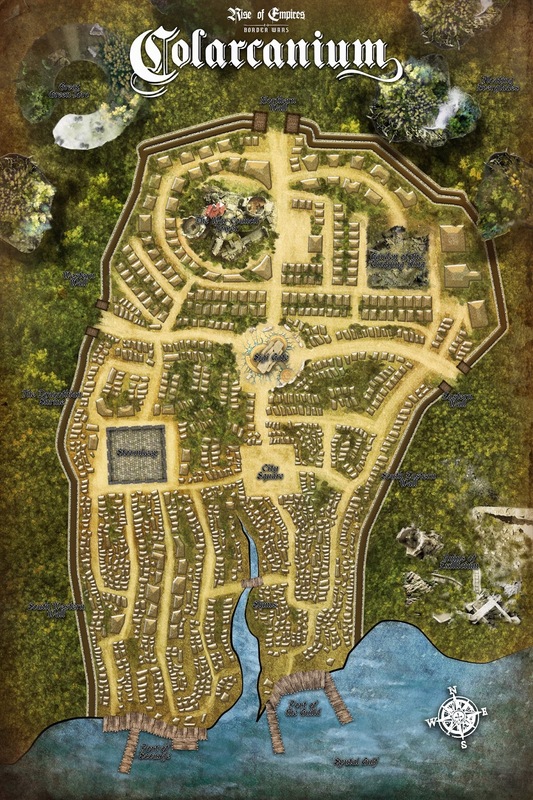 It is a 40 player event where each table represents a different part of the city, whether that is the Sigi Gate, the Slums district, or the Ruins of Exillicium, each player will have a stronghold to defend and enemies to crush elsewhere. It is loosely based on the new Firestorm map system from Games Workshop, but with a few tweaks to fit 40 players into it! I wanted to show you how exactly we achieved this and the fun aspects the players will be exposed to throughout the weekend. The players armies will be based on three different lists over the weekend. None of which are tied to any sort of points. The idea is to show off Age of Sigmar in all its glory, removing the focus of Pitched Battle points and instead, using other ways to build your army. The stronghold list, which will be the army you play with when you are defending your own territory is simply, a battalion. Any battalion, even the ones that aren't pointed can be used. This opens the doors to people who have always liked the looks of a particular themed battalion but never played a game in which they are able to use it. The only restriction is that as a guideline, the battalion should be around 1500pts. But this is of course flexible. The Path to Glory aspect is for the part of the army you will be sending out to attack other players domains. Like any Path to Glory, you choose your initial warband and then add follower units from any faction in your alliance based on what models you have or what you want to achieve. The Skirmish aspect is for the initial scouting parties in the first 2 games. The aspect where you are scouting for new territories and advantages. With no point restrictions, comes the headache of keeping summoning fun for both parties. They way we have achieved this is by doing the above. The idea is summoning takes control and concentration and is a risk in itself for doing so. We wanted to award the players is various ways, not by winning games, but instead by focusing on the story progression of your own army, your opponent and the overall campaign too. This in itself is a massive challenge, but if you can, it is the most rewardable part to. The person who does this best will at the end of the event be awarded with the Key to the City. We also wanted to ensure top hobby too. So with four different painting trophies, I am sure we will see next level stuff here. One of the most rewarding part for us in this build up is creating the lore to Colarcanium, we really want people to feel like they are there and have gone to great depths to do this... with Currency, a custom map of the city, soon to be blueprints of Sewer systems and the above, plus more in the pack itself. Have a read! Here is an example of the storyboard for the event. We wanted to give players options of where and how to fight their battles. The map itself is printed in high def on a 6x4 DeepCut Studios gaming mat and will be the War Room where players can meet with their alliances to discuss tactics for the upcoming round. Each player will be able to push their markers around the map gaining or losing grounds. The storyboard is read out before the next round and players make their way to their deserved part of the map. The scoring is loosely based on gaining Domain points, but instead, you gain additional rolls or rewards from Path to Glory in the form of Muster points. Plus you add or remove markers on the physical map too, this will go towards your overall score for the event. Each batteleplan is custom. Each round has different paths you can take and therefore a different battleplan to play, so in round three for instance, a death player may be playing the above scenario, whilst another death player another... this is to represent different parts of the city under different layers of war. This one.. The Summoner is by far one of my favourites and really themes Death how I imagine it in the books, raising an army to fight an oncoming invader. And of course what is a map campaign based on a city without a good Siege. Siege rules will feature frequently in battleplans and a few are geared completely towards it. If you would like to see the full pack.. it is available as a free download here. and of course please feel free to follow everyones progress by using the hashtag #RoE18 on Twitter. There is even a few more tickets available. COME and play if you can. Visit TGA.Community for ticket details. Thanks again to Sean for sharing this with us and putting together such a fun looking event. So if you're over in the U.K. head over to the Rise of Empires event, or if not, follow along on Twitter. Check out the rules pack as well for some great structure and ideas for your own narrative gaming within the Mortal Realms!